In Design 2, I have very simply switched the vertical layout to become horizontal. I don’t think one works better than the other, it is just a matter of preference. 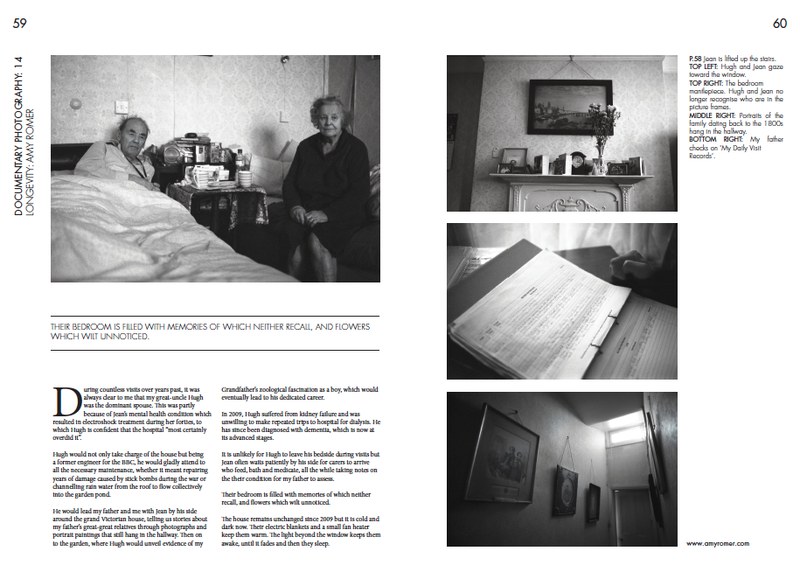 However, I do think that layout 1 reminds me of my final design of Longevity due to the writing being on one side, pictures on the other with lots of white space surrounding and for that reason I’m leaning towards Design 2 which has it’s writing spread across the length of the page. 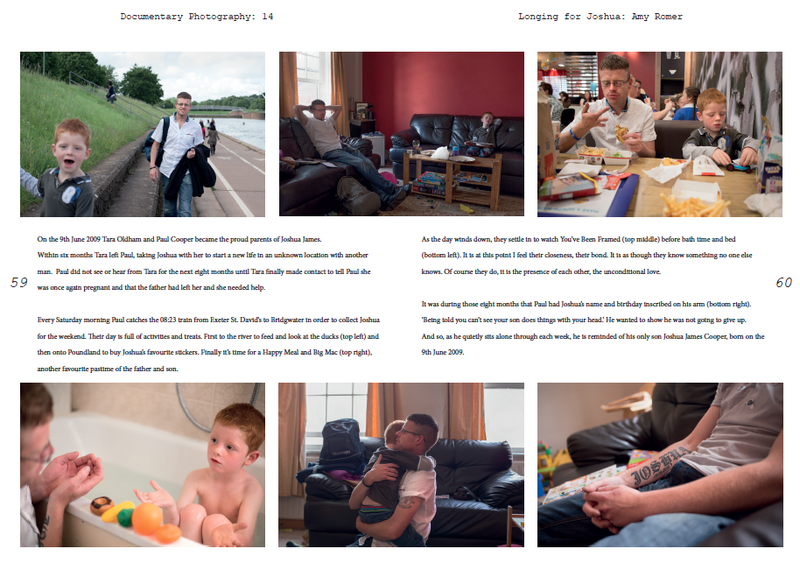 I’ve kept the same layout for the second page because I think it works better when coupled with the second establishing page design because they are both horizontal layouts and flow into each other nicely. In my last post I explained that I was trying to work out whether these two images work well as an establishing spread to the story of Joshua and Paul and I’m pleased to say that I think they do! Although the content of the two images are fairly different, i.e. a detail and a close-up portrait, they are similar in the way they are shot – with a 50mm lens and large aperture so there is an aesthetic similarly and they both have connotations that tell you what the story is about as opposed to telling you any denotation. For example, the tattoo is a sign of commitment and love for his absent child and the portrait of Josh with its neutral colours and detailed perfect skin is a portrait of innocence and beauty. What really marries the two images together is the headline (thanks Dad). It gives both images purpose as one is lost without the other – which is indeed the case with unconditional love. 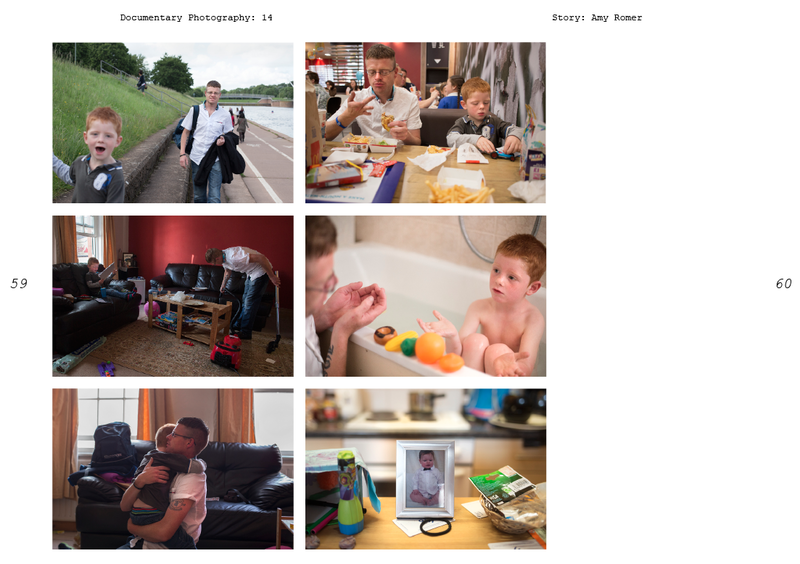 Having made the establishing page, I had a think about what pictures I could use for the second. These six pictures seemed to hold a balance between them as three describe their activities together (the top three) and three are beautiful moments between the two of them. 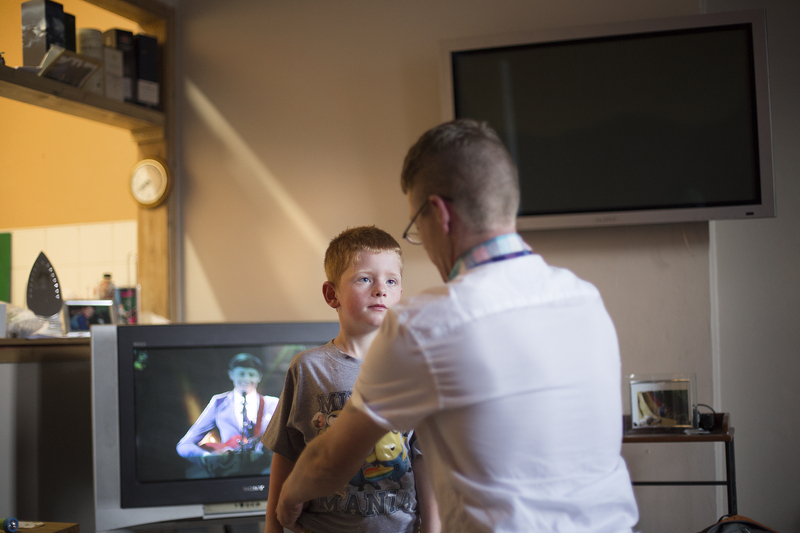 On the left, Joshua looks at his Dad with love as he gets him ready for bed. The middle picture shows them playing a game in the bath and I have captured a moment where their hands form a beautiful similarity. The third shot shows a moment of equal emotion and love in the form of an embrace between father and son. I’ve placed the pictures in places I think works. I saw a clear division in content between the top and bottom images, which is how I divided those and then I thought about what would start the story – a picture of them walking along the river, which reads as Paul picking Joshua up and them both being very happy about it. I placed the wide shot of them on the sofa in the middle as the other two are in different places other than the flat so it seemed to make sense to place it in the centre. The bath shot went in the middle because it holds a neutral, lighter colour that separates from the other two, which are both in the flat and similar in ways. I’m also aware that by placing two pictures through the centre of the spread will mean that the centre of the image gets slightly cut into the gutter of the double page. However, this is done in many editorials and I think that as long as you don’t place a picture where the centre of the picture is critical to the image then it is not a problem. Both my images contain subjects at the sides and I think therefore it is okay. I’ve tried to keep the design simple and crisp as I did with Longevity because right now I am concerned with content. I just did what I felt was best as a starting point. This means using Futura for the headline again and this time using Courier New for the poetry, page numbers and title of the editorial, which I didn’t use before but I would still conifer it a crisp, classic and modern type face. As I haven’t written the story yet I was trying to think of what to write on the page to avoid filling with placeholder text so I started looking at poetry about fathers and sons and found this perfect verse by William Wordsworth. 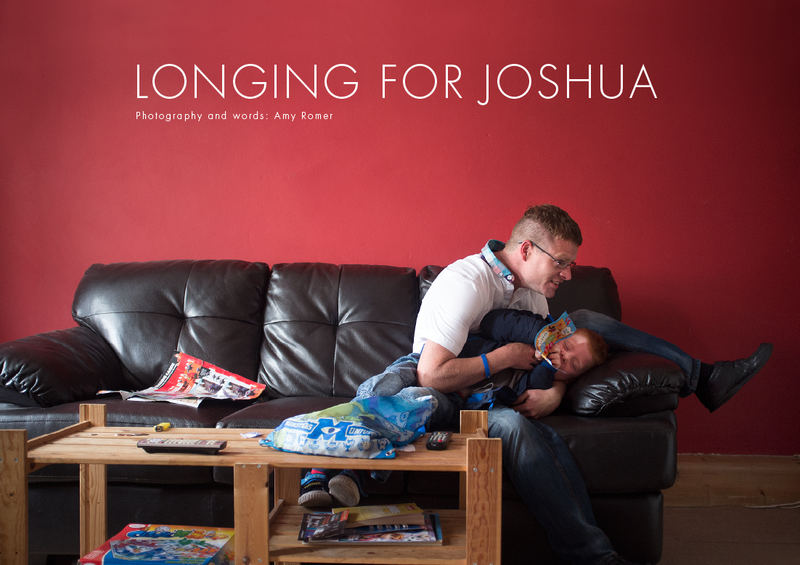 It mirrors both the headline and the images when I read it and so I feel it has a belonging on the page to help establish the story between Paul and Joshua. 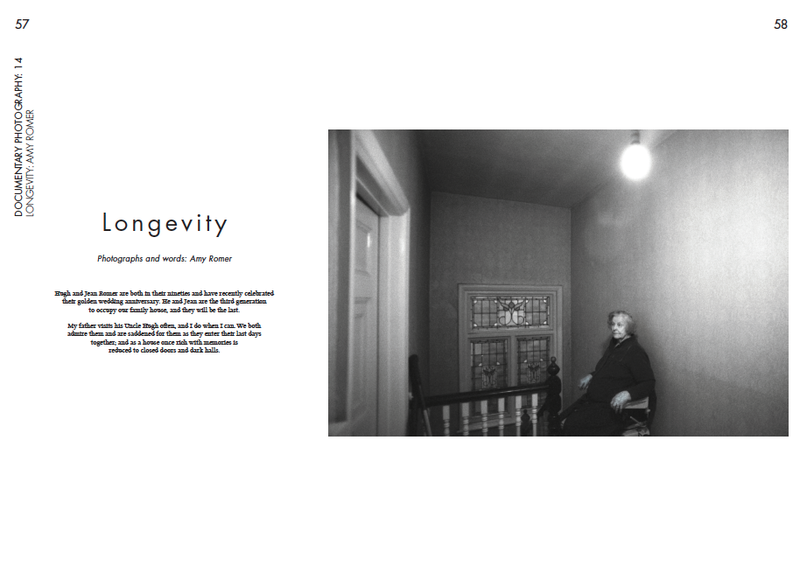 Although I do have a concern that it might be necessary to describe the story on the establishing page as I did in Longevity but as I am more free to experiment with this spread, I am happy to run with it for now. I’m going to continue having a play with this layout to try and get the best from it before using other establishing images in order to make a comparison and further develop the design and write the story. The idea behind the establishing shot(s) is that they inform you as to what the story is about whilst tempting you to continue looking and reading. This means they need to be visually strong as well as informative. The stand-alone establishing shots show the closeness between father and son. They are precious candid moments that stir emotion and therefore (hopefully) tempt the reader to look further. 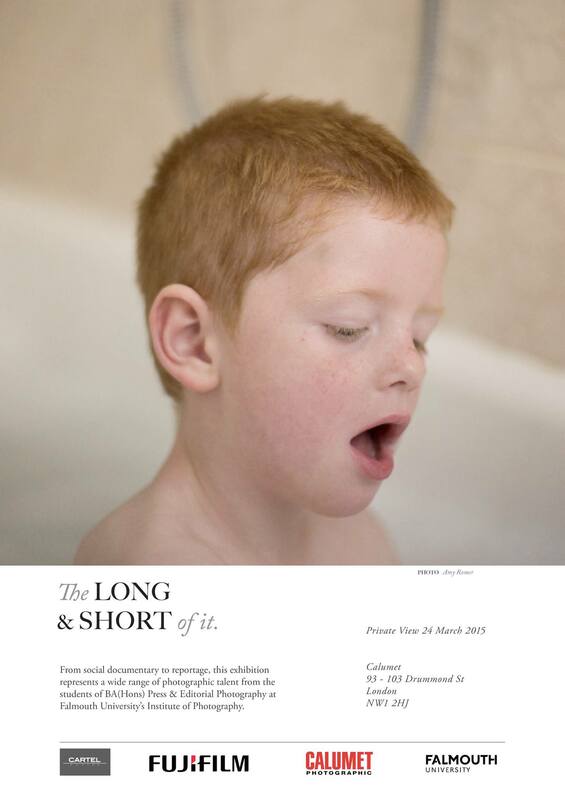 The two images that I think could work together I think are strong images but alone they are not particularly informative. With a clever headline linking the two pictures, it could work although I have a feeling I will end up preferring the simplicity of one strong image. 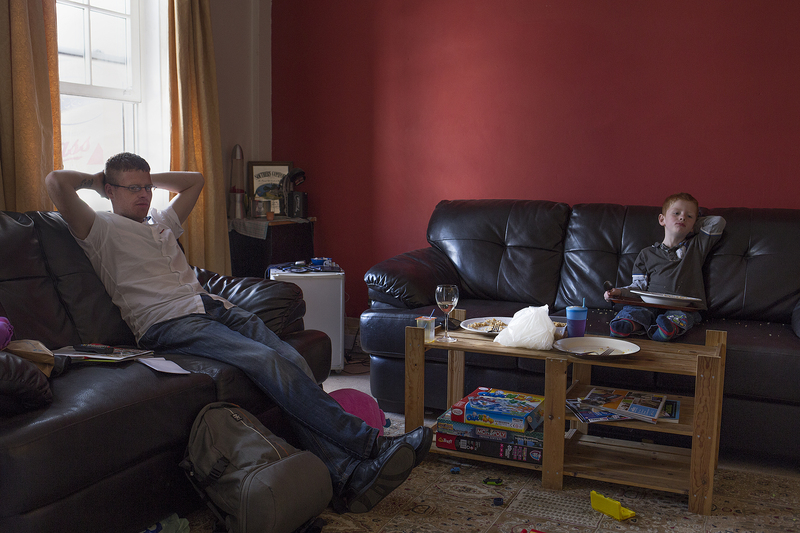 Potential images for editorial use in the story of Paul Cooper, a weekend-Dad and his son Joshua. I don’t intend to use all images but I think there are a few different variations that would work, so at this stage I don’t want to rule any out. My step step is going to be to establish which of these images I could possibly use for the establishing page, whether it be one picture or more.